Drop-down tuning bass guitar strings that go right into tune and lock in. The first thing you notice with DR Drop-Down Tuning Bass strings is how stable they are. DDT strings maintain their intonation at lower tunings far better than other strings you may have played or heard. Players say these bass strings are so stable it is almost eerie. Experienced players comment: "Tuned down, I was never able to play a favorite riff. It always came out muddy and garbled. Now it is crystal clear. I am going to record it and give it to my bandmates, who could not hear it before." 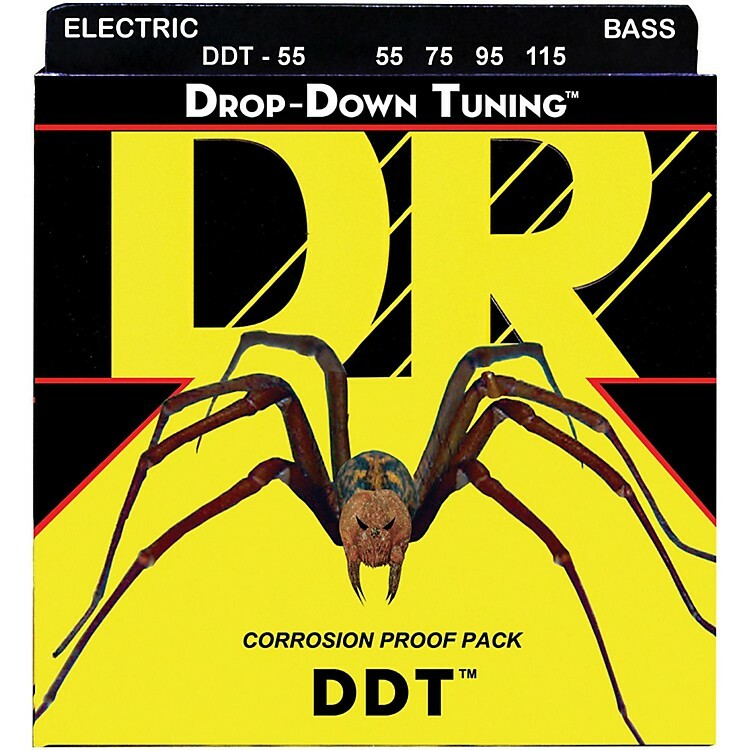 DR DDT strings deliver far more than just heavy gauges-they deliver impeccable bass tone.